This is the place to submit your anonymous story of your experience with sexual assault, relationship violence, or stalking for Emory's 9th Annual Take Back the Night, a rally to end sexual and intimate partner violence and to support survivors in the Emory community. This event will be a part of our first annual Relationship Violence Awareness Month. The Rally and Speak Out will take place on Mon. 10/28/13 on DUC Terraces at 5:30pm. It is hosted by the Respect Program in the Office of Health Promotion in the Division of Campus Life and the Alliance for Sexual Assault Prevention (ASAP). * 1. What is your affiliation with Emory? Thank you for sharing your experience with abuse or violence below. This could have happened recently or years ago. We are so grateful that you are sharing your story with the Emory community to break the silence. 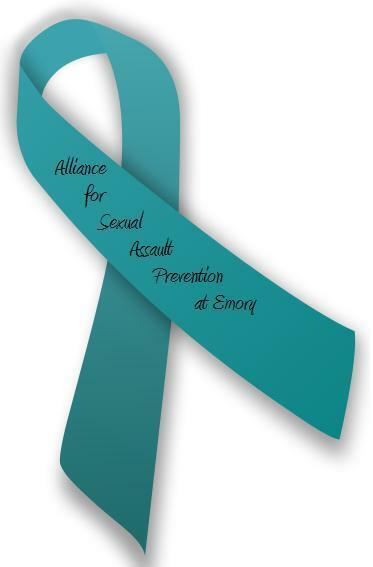 While we believe that supporters of survivors are deeply impacted by violence, we ask that you only submit your own story or a story of supporting a survivor who is not connected with the Emory community. Please do not include individual names of people or organizations, and please remember that this is not an official reporting form. If you would like to read your story in person, please contact LB, Assistant Director for the Respect Program, at 404.727.1514 or respect@emory.edu. Please note that Respect Program voicemail and email are checked only by our professional staff. See more information about the Respect Program at http://respect.emory.edu. Thank you again for choosing to share your story with the Emory community. For more information about the Respect Program, helping to plan Take Back the Night and other events, and other ways to get involved to support survivors and end interpersonal violence and abuse, contact respect@emory.edu or 404.727.1514.